The Government of Mauritius intends to adopt a comprehensive Bill covering all aspects of Industrial Property Rights, tentatively at the first session of the National Assembly in 2017. A Draft version of the Bill has been uploaded on the website of the Ministry of Foreign Affairs, Regional Integration and International Trade here which was open for public comments. - Definition of a trade mark has been extended to also cover collective and certification marks. Specific grounds for the invalidation of a certification mark were added, but no similar provisions for collective marks are included. - Grounds for refusal of a trade mark expanded, the most notable being that a mark shall not be registered if it consists exclusively of the shape of the goods or where the shape is necessary to obtain a specific technical result. - Registration of a trade mark on the basis of honest concurrent use or other special circumstances may be permitted. - The Bill provides that if a filing formality deficiency is notified, the applicant has two months to correct that deficiency. The filing date then becomes the date of correction of the deficiency, rather than the original filing date. - A remedy for unregistered marks is provided – The earlier user of a trade mark that is neither registered nor the subject of a pending application, will entitle the owner to oppose a confusingly similar trade mark by presenting the relevant evidence of such use. - International exhaustion of rights – the right to be accorded by the registration of a trade mark shall be exhausted once the product is put in the market by the registered proprietor or with his consent in Mauritius or any other country in the world. The official fees have been increased by 5% effective as from January 1, 2013. The official trademark application fee for registration is MUR 3,150 for one mark in any two classes. Each additional class is MUR 1,575. The Mauritius Industrial Property Office has changed the oppositon period for national trademarks from 3 months to 2 months, effective from February 26th, 2011. Furthermore, the official trademark fees have been changed as well. The official trademark application fee for registration is now USD 163.00 (approx. EUR 115.00) for one mark in any two classes. Each additional class is USD 55.00 (approx. EUR 39.00). Registrable as a trademark are all distinctive words, letters, numerals, drawings, colours, pictures, labels, or any combination of the mentioned signs used to distinguish between the goods and services. The following trade mark types are registrable: trade marks, service marks, collective marks; in addition, business identifiers such as trade names and domain names can be registered. Trademark applications are filed in ‘paper format’ at the Mauritius Industrial Property Office (IPO) located in Port Louis. In order to receive an application date and number, the application fees must be paid before 2:30 PM. Foreign applicants need to be represented by a legal practitioner admitted in Mauritius. A power of attorney duly notarised in the country of origin of the applicant and registered at the Registrar General of Mauritius needs to be submitted together with the application, or within two months (this term can be extended at the discretion of the Controller). The official examination includes a trademark search and the Industrial Property Office can refuse a trademark application for absolute and relative grounds. After registration, the trademark is published for opposition in the Mauritius Government Gazette. The Gazette is published weekly in paper format. The opposition period is 2 months from the publication date of the registration. A trademark registration is valid for 10 years from the filing date of the application for registration. Renewal is possible for subsequent periods of 10 years. A trademark may be renewed during the period of six months preceding the expiry date. Any interested person may request the Industrial Property Office to remove a trademark from the register, if up to one month prior to filing the request, the mark has, after its registration, not been in use by the registered owner or a duly registered licensee, during a continuous period of not less than 3 years; unless the owner of the trademark can justify reasonable circumstances that prevented the use of the trademark and that there was no intention not to use or to abandon the same in respect of those goods or services. The official trademark application fee is MUR 3,150 for one mark in up to two classes. For each additional class MUR 1,575 are due. 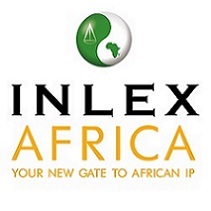 INLEX Middle & East Africa is an Intellectual Property law firm located in Ebene Cyber City, MAURITIUS, specialized in the validation, protection, defense and valorization of projects for the creation of trademarks, designs, copyrights and commercial and marketing concepts. Thanks to its long experience in France, its European working know-how, our team is able to provide its customers with quality assistance according to their specific needs and requests that will guarantee the protection of their intangible assets within the sub-Saharan area, allowing them to gain competitive advantage from their intellectual assets while reducing IP-related business risks.